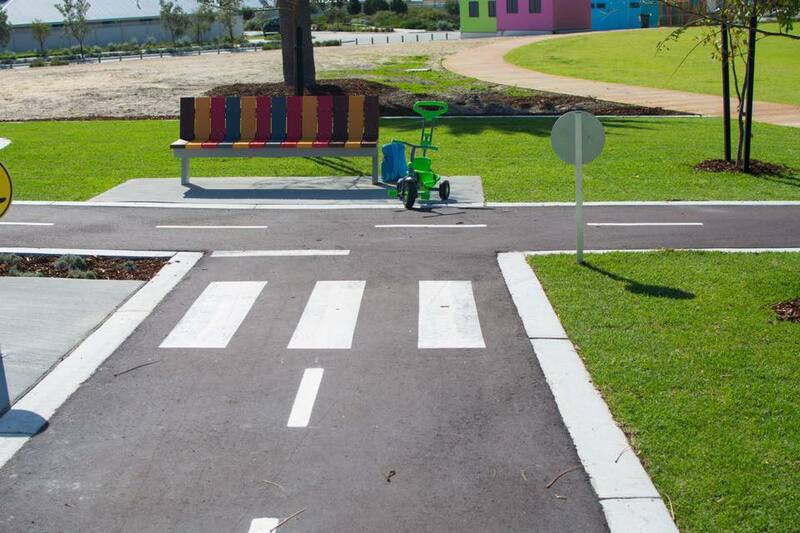 Located on the north-west corner of Leatherback Oval in Alkimos Beach is a brand new Bike Safety Course that is sure to be a hit with kids of all ages! 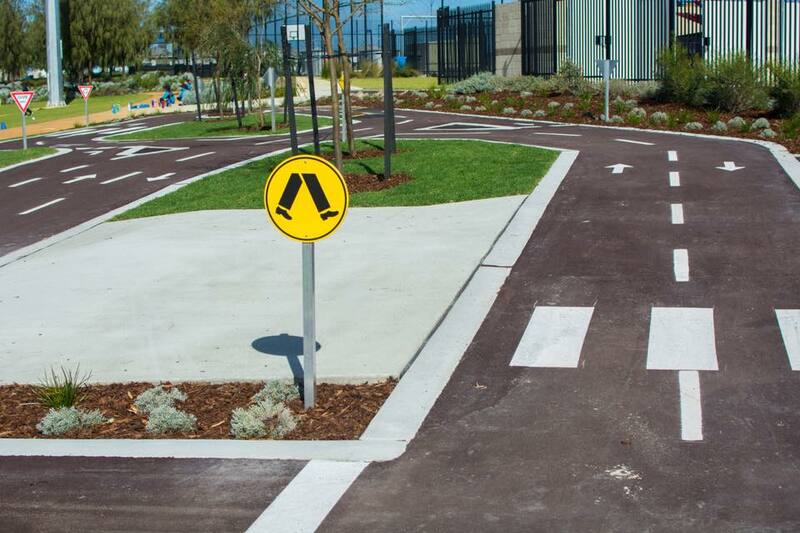 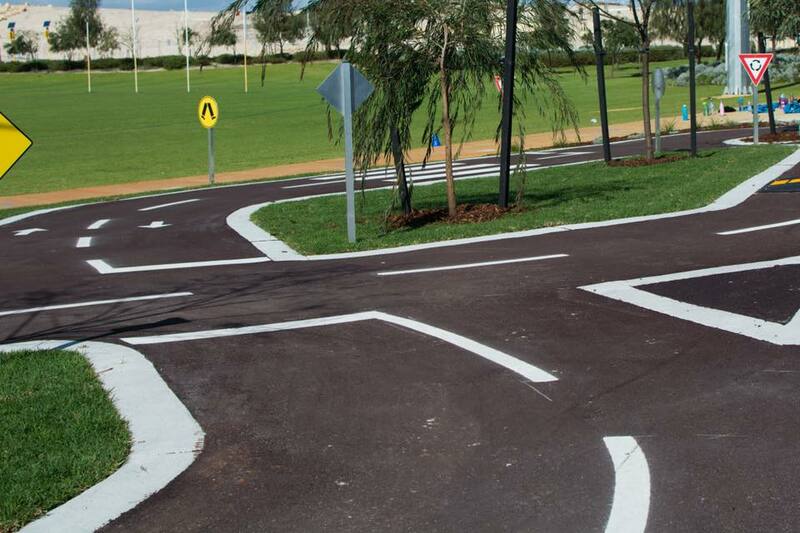 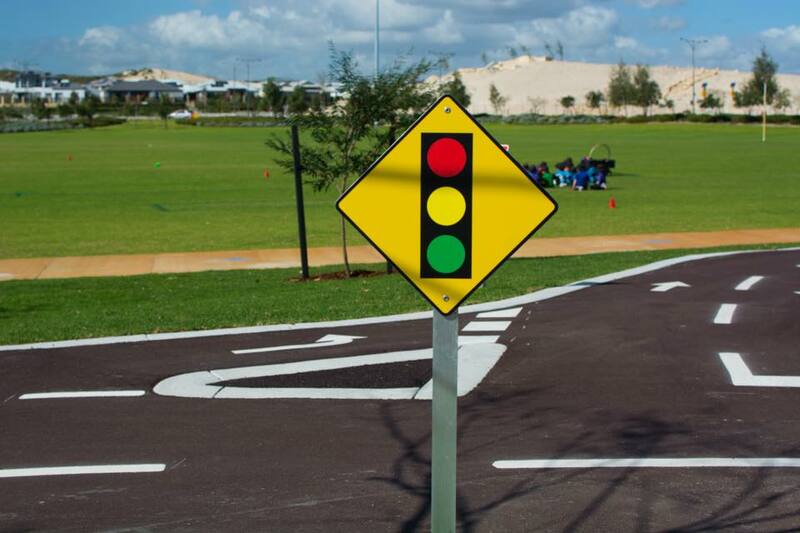 It features a realistic layout of Perth’s streets that gives children aged 4-11 years old hands on opportunities to learn pedestrian and bike travel safety skills. 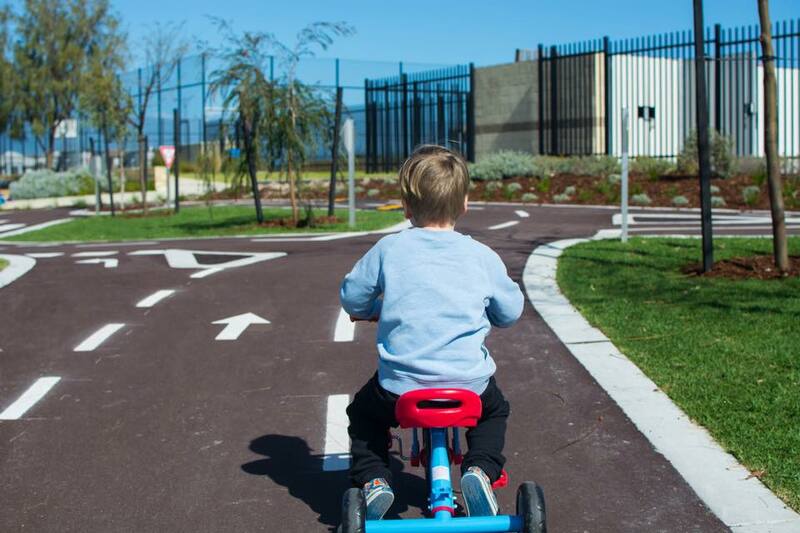 Hudson is only 3yo but he had a ball on his trike, going over the speed humps, stopping at the traffic lights, maneuvering around the roundabouts and stopping at the crosswalks to let other people go! 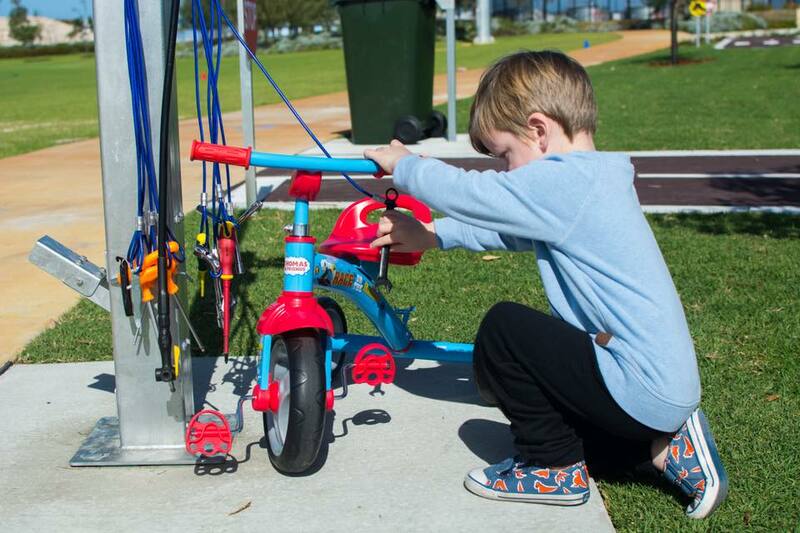 His highlight though was the “ tool stop “ at the bottom of the course which features a collection of real tools such as spanners, wrenches and screwdrivers that are attached to a pool for the kids to stop with their bikes and give them a tune up, he spent about 10 minutes “ fixing “ his bike before putting some petrol in with the pretend hose and then he was back on his way! 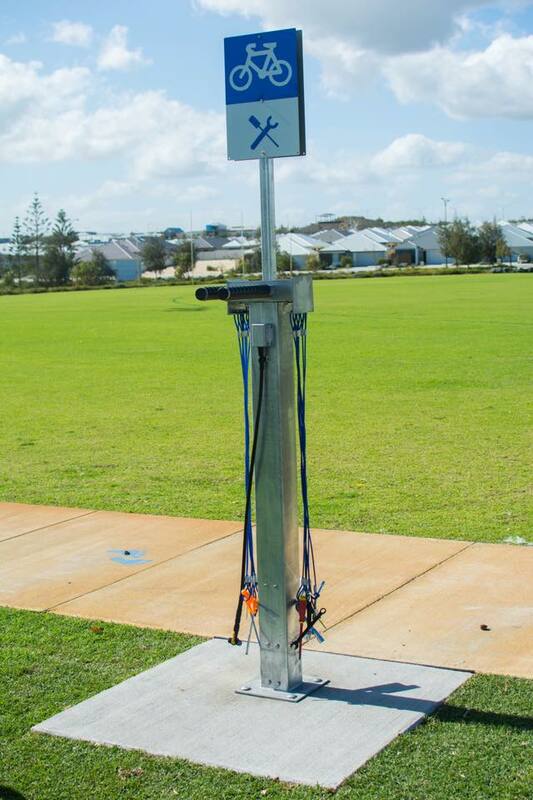 The course is suited to all ages and I’m sure my 6 and 7 year olds would love it as much as the younger ones, there is only 1 bench at this stage for seating ( hopefully more to come ) and there are toilets and a water fountain located on the oval. Located on the corner of Fairy Parade and Painted Parkway.